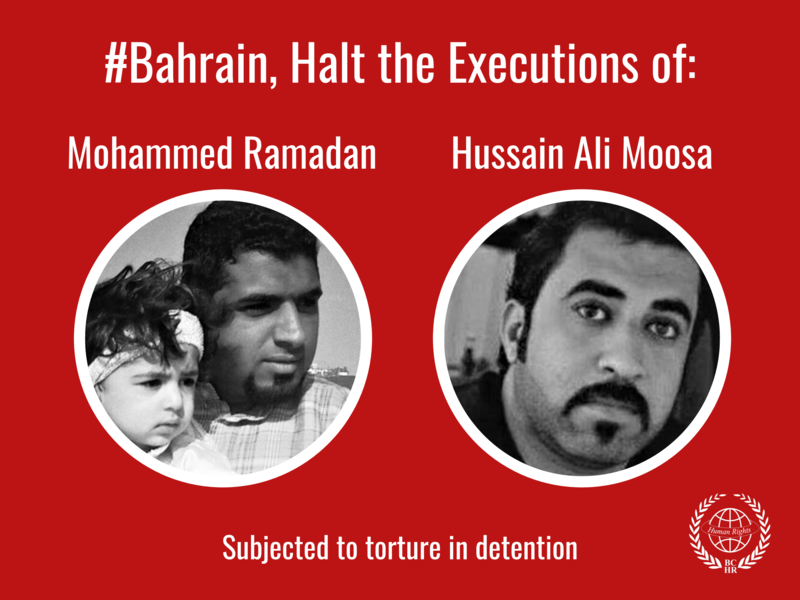 Human right defenders in Bahrain are being subjected to ongoing violence, harassment and intimidation. The latest spade of attacks on human rights defenders in the country have included malicious interrogation by the office of the military prosecution of Mr Abdulla Al-Derazi, the Secretary General of Bahrain Human Rights Society (BHRS); the imposition of a travel ban on Mr 'Issa Al-Ghayeb, the Deputy Secretary General of BHRS, and lawyer Mr 'Issa Ibrahim, BHRS board member; and a dawn attack by tear gas on the house of Mr Nabeel Rajab, President of the Bahrain Centre for Human Rights (BCHR) and vice-president of FIDH (International Federation for Human Rights). On 31 May 2011 Mr Nabeel Rajab, was summoned by the office of the military prosecutor to present himself at their offices at 6pm on the same day. He was interrogated for more than 5 hours before being released. The interrogation was in connection with three charges: Disseminating abroad false and malicious news and statements about the internal situation of the country (Article 134 of the Penal Code of 1976); publicly inciting for the hatred of a sect of people and denigrating them (Article 172 of the Penal Code of 1976) and; broadcasting false and malicious news, statements and rumors (Article 168/A of the Penal Code of 1976. An additional charge of insuting the king of the country was apparently brought against Mr Rajab during the investigation. The interrogation focused on his television statement and interviews and on his writings on twitter. Mr Rajab has stated that he was treated courteously during and after the interrogation. However, it is not clear whether he will be referred to the military court for trial. On 22 May 2011, Abdulla Al-Derazi was summoned by the office of the military prosecution and interrogated for two hours from 6pm to 8pm. The interrogation focused on Abdulla Al-Derazi's human rights work including communication with international media, participation in anti-government protests, spreading 'false information' about Bahrain, and absenting himself from work. Despite the denial of all the charges it is feared that Abdulla Al-Derazi may be referred to trial before a military court. On 17 April 2011, just over a month before his interrogation, he was suspended from his position as lecturer of English at Bahrain University. He was referred to a disciplinary committee which resolved to suspend him on charges related to his human rights work, including exercising his right to freedom of expression and assembly. BHRS has been coming under sustained pressure since the trial in August 2010 of a number of human rights defenders on "terrorism" charges. On 8 September 2010, the Ministry of Social Development suspended the board of directors of BHRS under the provisions of the Societies Act No. 21 of 1989 accusing the board of administrative irregularities and appointing an administrator to run the BHRS for 8 months. Despite the expiry of the period of suspension on 8 May 2011, BHRS remains under the control of the Ministry of Social Development. On 21 May 2011, the Bahraini security forces carried out an unprovoked dawn attack using tear gas on the family home of Nabeel Rajab while the whole family were asleep. The attack which came weeks after another attack involved shooting tear gas into the house through a window by means of a gun. Before firing, the attacking forces reportedly broke the window of the section housing Nabeel Rajab's brother and his family. As a result members of the family including women and children almost suffocated from inhalation of the gas thrown into a closed area. The attack was apparently meant as punishment against Nabeel Rajab to silence him by intimidating his family. 'Issa Al-Ghayeb was barred from travelling by the Bahrain passport authorities as he went to the airport on 26 May 2011 to travel to Kuwait to attend a conference on death penalty. 'Issa Ibrahim faced a similar ban about two weeks ago but the reasons are still unclear; it is believed the measure is related to his human rights work. Nabeel Rajab was again barred from travelling on 29 May 2011 as he was planning to travel to Beirut to attend an IFEX conference on freedom of expression. On a previous occasion he was returned from the airport while waiting to catch a plane to travel to France to attend a FIDH meeting. Front Line believes that this campaign of violence, intimidation, harassment and travel ban on human rights defenders is being carried out by the authorities to force them to stop their peaceful and legitimate human rights work. The continued violence, harassment and intimidation of Nabeel Rajab and Abdulla Al-Derazi, 'Issa Al-Ghayeb, 'Issa Ibrahim was the subject of a Front Line urgent appeal dated 31st May 2011 . 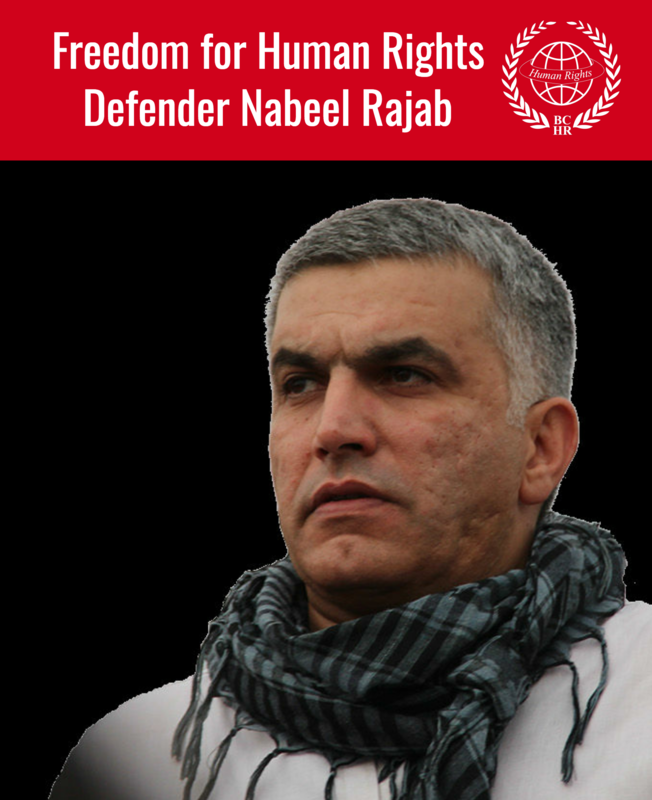 Front Line calls on the authorities to immediately drop all charges against Nabeel Rajab as it is believed that they are motivated by his legitimate and peaceful work in defence of human rights.